Things You Never Knew You Could Do with Ketchup! Ketchup is an incredibly versatile condiment. It’s no wonder why we smother it on our hot dogs, burgers, and fries. 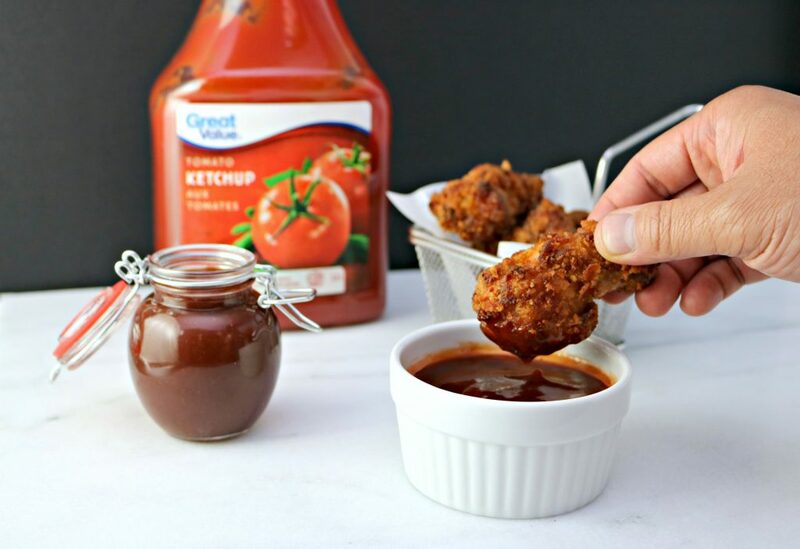 What most people don’t realize is that ketchup makes a delicious base for a variety of dipping sauces that you can enjoy with all of your favourite foods! The girls absolutely love ketchup so it is always in the house. They love dipping their fries and chicken strips into it, but Darasak and I have always used it in some of their favourite sauces. It’s always fun to play around and make different dipping sauces for kids. 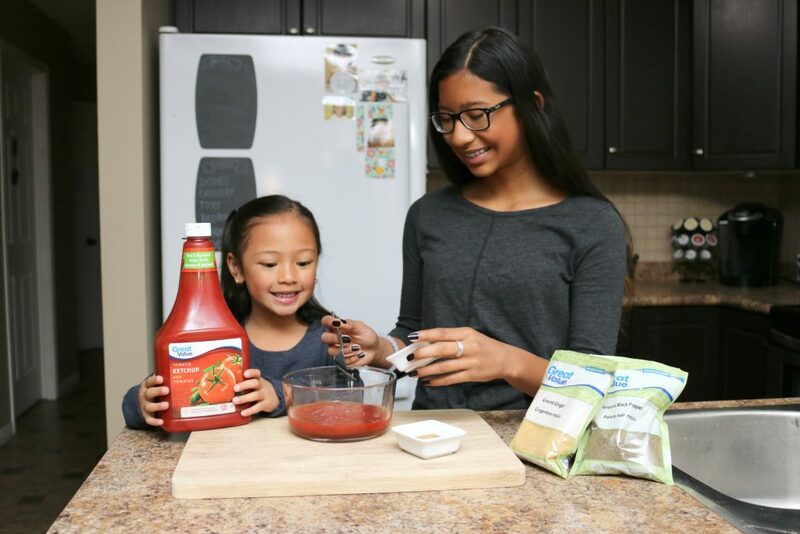 The girls had so much fun making ketchup dip recipes this weekend. It was a fun activity for them to do and since it requires no cooking, they are free to let their inner chefs shine. Best of all, they are introduced to new flavours and they brush up on their measuring skills. For me, it’s a win-win all around. Let’s just say, they made a lot of batches and we have plenty stored away in the fridge now. Needless to say, we won’t be running out anytime soon. Apart from having them make the dips, I love the fact that I can make these affordably. When I head to my local Walmart and choose Great Value products, I’m able to save money and get quality ingredients too- it’s a one-stop shop! Kids love to dip and when you present them with choices; they’re more likely to eat what is on their plate. Plus, you are expanding their palates to a world of different spices and flavours, even if they don’t know it! Read on for 4 amazing recipes to help you enjoy ketchup in mind-blowing different ways! One of our go-to meals is chicken wings. If the girls could live on them, I think they totally would. We decided to shake things up and try a new dipping sauce recipe with an Asian twist. 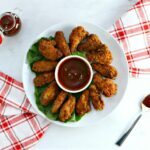 The girls love to dip and I thought I would try this recipe to toss my wings in. Nothing like saucy wings! Authentic Chinese barbecue showcases tender, slow-cooked meats lacquered by a rich, sweet-salty sauce. Making a sauce that is worthy of dipping our wings into, well, it required just a few things. Really though, the star of this sauce is ketchup and after adding some delicious and affordable Great Value ingredients, the result was Chinese Char-siu BBQ Sauce. This type of sauce works equally well as a dip for appetizers like spring rolls, dumplings or chicken wings. It’s incredibly easy to make and needless to say, it was a hit. It doesn’t get easier than measuring spices and stirring your way into tantalizing flavours. All you need is Great Value ketchup, hoisin sauce, soy sauce, Great Value Pasteurized White Honey, sesame oil, chili garlic sauce and Chinese five spice powder. Stir ketchup with hoisin, soy, honey, sesame oil, chili-garlic sauce and five-spice. Keep refrigerated. Enjoy with appetizers like spring rolls, dumplings or chicken wings. I promised you three more ways to use ketchup, right? They’re just as delicious as the first one, believe me! The girls loved the Chinese Char-Siu BBQ and I adored the freshness of the Creamy Argentinian Dip. The best part? In less than 5 minutes you have a new dip to spice up any boring meal. Quatre-épices is a traditional Quebecois seasoning used in both sweet and savoury dishes. It’s a great match with ketchup’s sweet-sour flavour and makes this a perfect condiment to serve with Quebecois tourtière. In this recipe you’ll use Great Value ketchup, maple syrup and a few familiar and savoury spices. You can see the full recipe, here. Canadians love to drink Bloody Caesars, but the flavour combo is a delicious match for scrambled eggs—or even mac and cheese! This recipe was Darasak’s favourite since he loves Caesars and he made this one EXTRA spicy. Of course, you can choose how spicy you want yours. 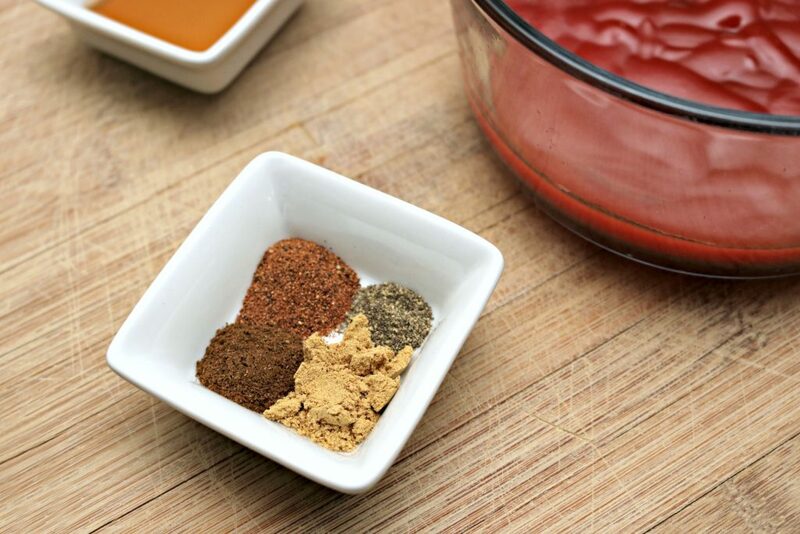 This recipe calls for Great Value Ketchup and hot sauce plus a few more spices and ingredients. You can get all the ingredients, here. South American cuisine is quickly gaining popularity in the rest of the world. This easy sauce, also called salsa rosada, is commonly served with cooked shrimp, raw veggies or French fries. It also has creaminess and zest that you’ll love. Of course the star is Great Value Ketchup, but this one has fresh lime zest mixed in with other delectable ingredients. Get the recipe, here. It’s your turn, now that you have 4 yummy ideas! You can always play around with how sweet, spicy or salty you want them too. Since there is absolutely no cooking involved with these recipes, get the kids involved. They’ll love seeing AND tasting the final product! How do you like to enjoy your ketchup? Note: This post is sponsored by Walmart Canada as part of the Walmart Great Value Ketchup program. In exchange for this post, I have received perks in the form of products and/or compensation. All opinions on this blog are my own. 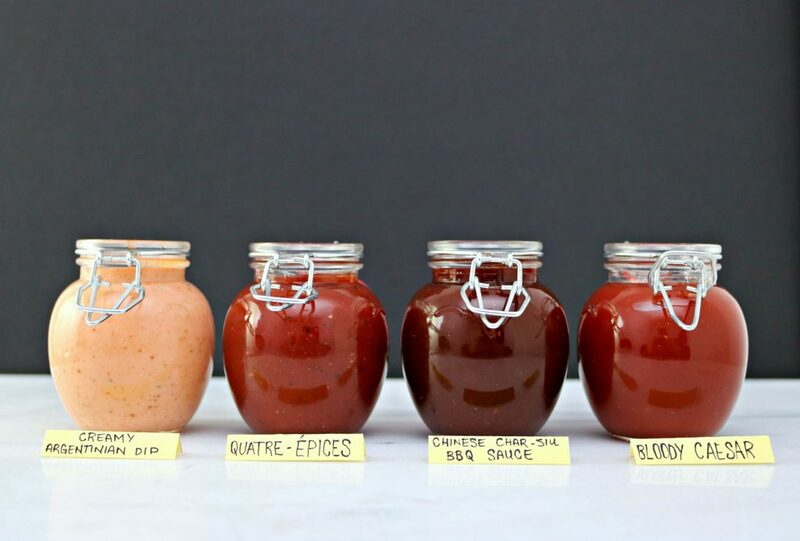 Ketchup is an awesome base for all kinds of sauces. I make a mean home made barbecue sauce that uses ketchup as the main ingredient. Mmm, I bet it tastes great! So many cool ideas! 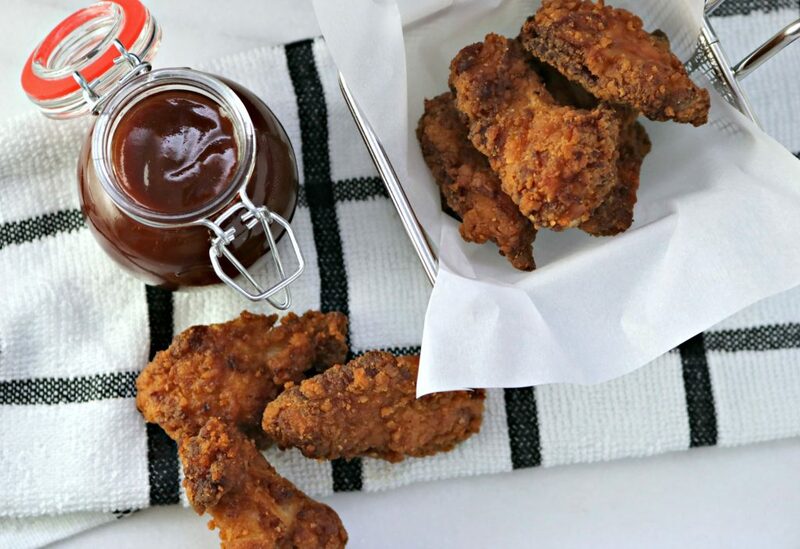 I will definitely be trying the BBQ sauce recipe! Wow thank you for all these ideas for dips made with ketchup! I love dips and sauces so this is right up my alley! I am so glad Joely! I’ve eaten ketchup (I swear) at every meal for the past 40 years. Yep .. I’m someone who puts it on everything. My parents always joke that if they’d have invested in Heinz the day I was born they would be rich! These are some really great suggestions. We’re going to try them out for sure! Make for a fun diy kitchen project with my kids. Thanks so much, let me know how you like them. I mix ketchup with mayo to make my special sauce. I like the sweetness of Ketchup, but not alone. That is great. It makes a really good base. Thanks for the tips,we really enjoy ketchup ! We make homemade BBQ sauce with ketchup. I also use it in and on top of my meatloaf. It is great in meatloaf! I love experimenting with ketchup in sauces. I love mixing it with brown sugar spices, and fresh blueberries for a sweet and spicy bbq sauce. Mmm, that sounds really good! I’ve never thought that you can do more with ketchup, I would love to make my own. Love these! Hope you like these ones! These are all great ways to use ketchup. I use it sometimes in my sloppy joes with spices and of course grape jelly or brown sugar. Thanks for sharing this awesome bbq recipe. Mmm, they all sound like great ways to use ketchup. Wow. Interesting ways to use ketchup. I am interested with Char Sui sauce because I love Chinese Food! The creamy Argentinian dip sounds good too. Thanks for sharing the recipe! My pleasure, hope you like them when you try them. Great Ideas! I think we would definitely try the chinese BBQ sauce. Thanks for the tips! I had no idea that you could make so many different sauces from ketchup. I would probably try to make my own bbq sauce. I love ketchup anyway and turing it into dips sounds like a great idea to me!! YUM!! It is a delicious one for sure! Wow! This is a great idea! My son loves ketchup. I’m sure he will love this. Thanks! My pleasure, Lily. Hope he likes these. 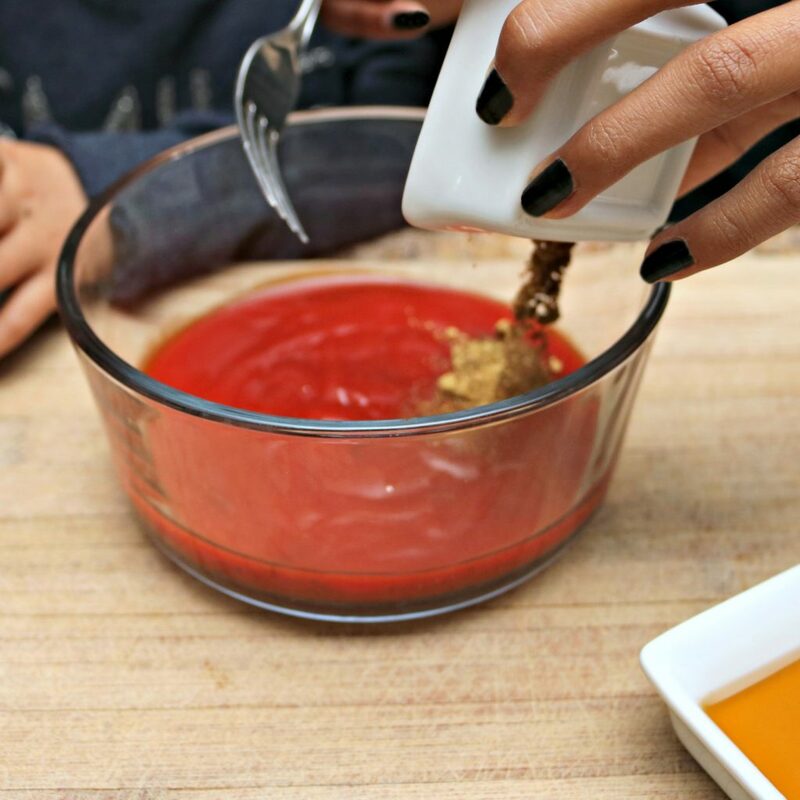 I use ketchup in a lot of things – dip, spread and on some of my food recipes. Your Chinese bbq sauce looks good. I love Chinese food. Can’t wait to try that! I often mix ketchup with mayo, but never thought about adding any spices. Will need try this Creamy Argentinian Dip! Mmm, that one is a great choice! These dipping sauce looks good. I also have one recipe my mom did for dipping vegetables. Ketchup, mayo and a bit of chili sauce. Yum! Wow, that sounds so good. I love these different ideas to use ketchup for. I would love the Asian BBQ sauce dip! It is so good! My fave! My five year old is obsessed with dipping sauces. She would love to make her own. The Quatre-épices Ketchup sounds fascinating. You would be so surprised at how great it tastes! 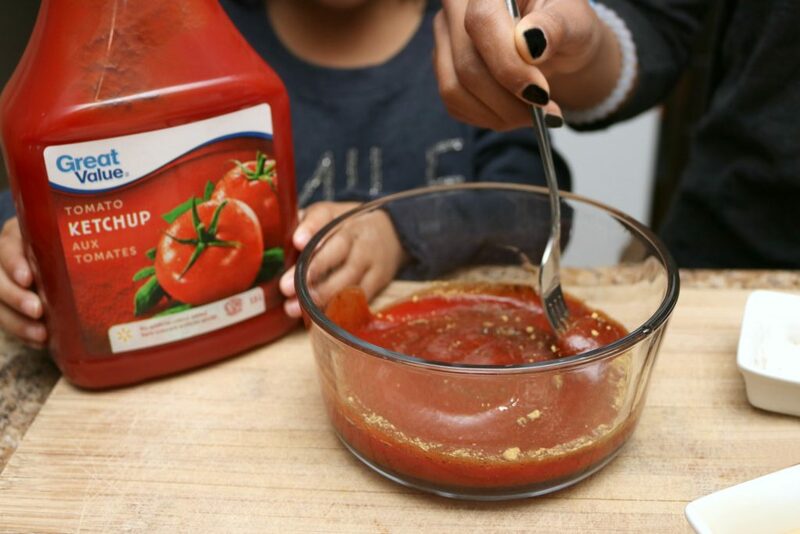 My kids love ketchup (so does Mommy). These sound like some fun ways to amp our ketchup up. I enjoy ketchup in the traditional way: on food! I add it to my burgers and hot dogs, and use it to add flavour to my fries and chicken fingers. My other half uses it to make sauces and to add to his homemade burgers as well. We love it! I just learned how to make a sweet and sour sauce using ketchup. I have a friend from Indiana is mixes ketchup in everything. Ketchup is a staple in my kitchen. I don’t only use it for making dips, but for cooking as well. I need to try these dips, thanks for the recipe and the link. My pleasure, hope you get to try them out. Wow! I never realized how many sauces you can make using ketchup! That BBQ sauce looks delicious! There are so many different things you can do with ketchup! I love making different sauces to go with each meal with ketchup being the base. That is a great idea and yes, ketchup makes a great base. Yum! I have never made BBQ sauce this way before. It sounds really good! It really is! Hope you get a chance to try them out. Oh this is perfect! I just use ketchup as a dip alone or mix it with mayo. It’s interesting to add more flavors in it. I agree Victoria, it is so good! Thanks Karlyn, hope you like them. Thanks Yolonda! I agree, it is good on its own but, great in other sauces. We love ketchup and these ideas are great! I need to try them out. Thanks Jeni, I hope you enjoy them. Wow this is a fantastic idea! I, for all love ketchup. I even make this as my main ingredient when I cook a Filipino dish called Chicken Pamplina. It’s really sweet! 😀 Thanks for sharing this awesome cooking! My pleasure, thanks for checking it out. I love to sauce it up! #welovegreatvalue This looks like an awesome BBQ sauce to try with the BBQ season starting. Ketchup is definitely a staple in this house. That BBQ sauce sounds really good, will have to try making it! Thanks for sharing it! 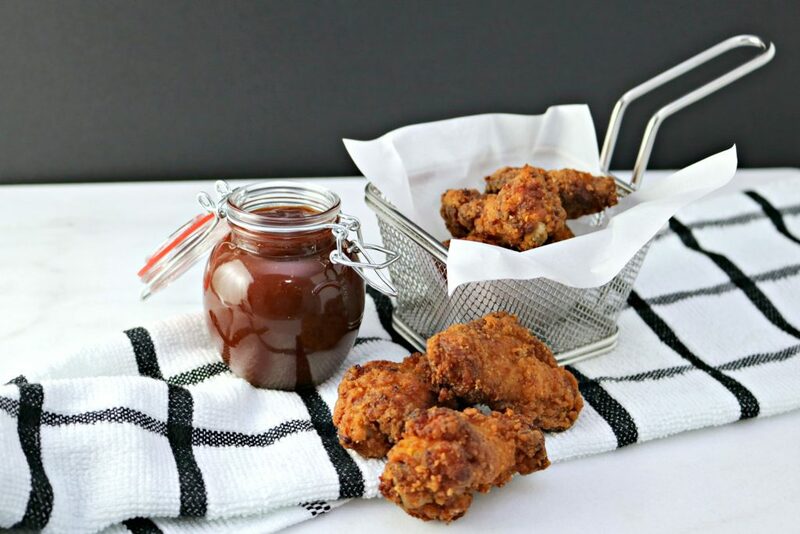 I love creating new bbq sauce flavors and Ketchup is always in use! Nothing like inventing your own flavors! So yummy! Thanks for the recipe,i will make this next time we serve wings,i bet it’s delicious !